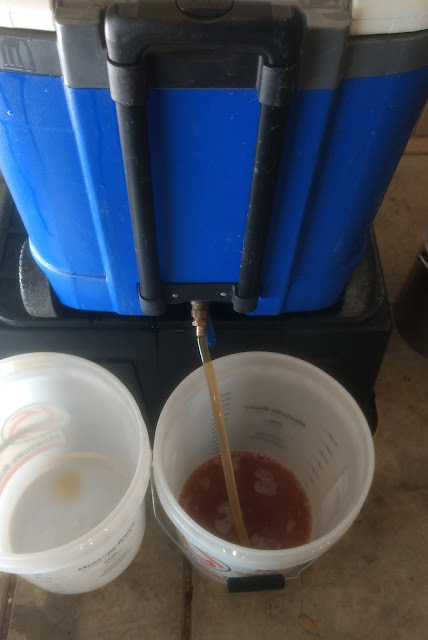 Brought out my favorite mash tun to do this batch. 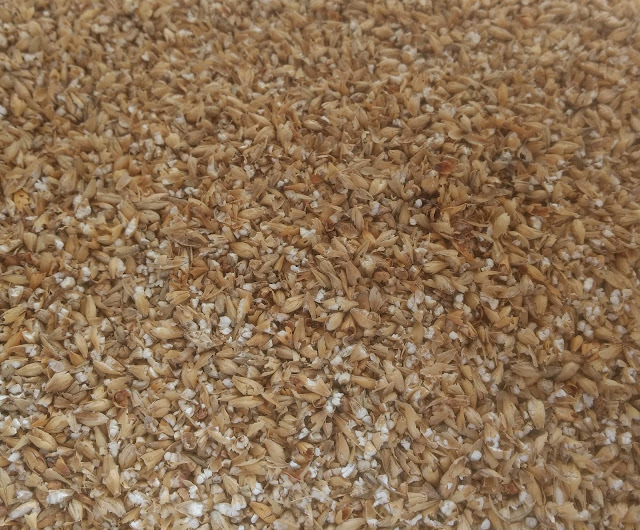 I had scaled up my recipe so I would have enough grain to use it. 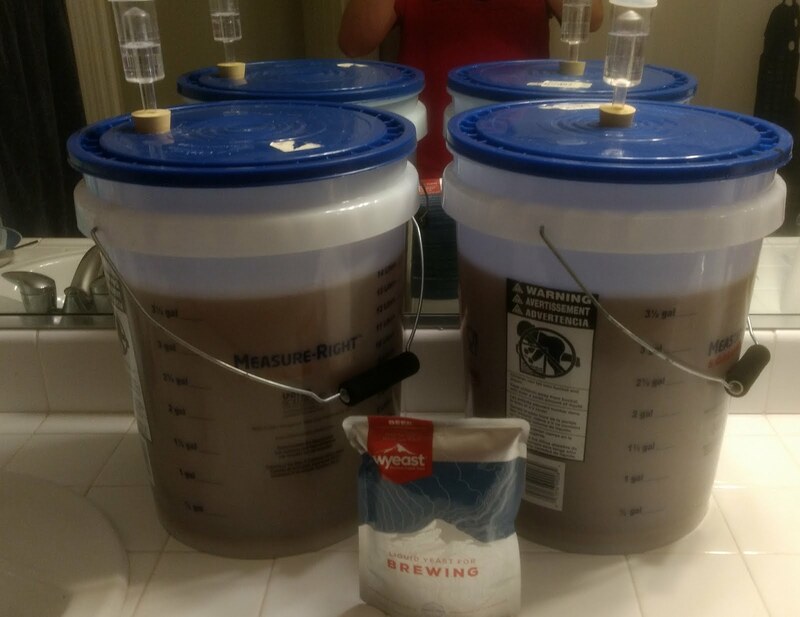 Who could say no to making 7.5 gallons of beer? With this batch, I decided to mash in with a larger volume of water. I used about 6 gallons of mash water at a slightly elevated temperature compared to normal (mashing in at the high 60C range). 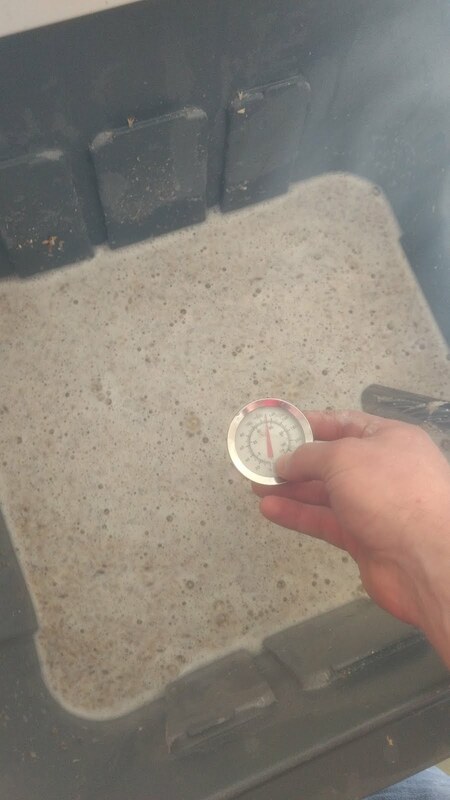 After 60 minutes of mashing, the wort was drained and the grain was washed with 7 gallons of hot water. Typically I haven't been heating the water as hot as I have for the sparge, but I think it helped extract a lot more sugar. I drained the wort straight into buckets so I was able to balance out the runnings better between my two main boil kettles. A total of three kettles would need to be boiled and my stove only had room for two at a time. 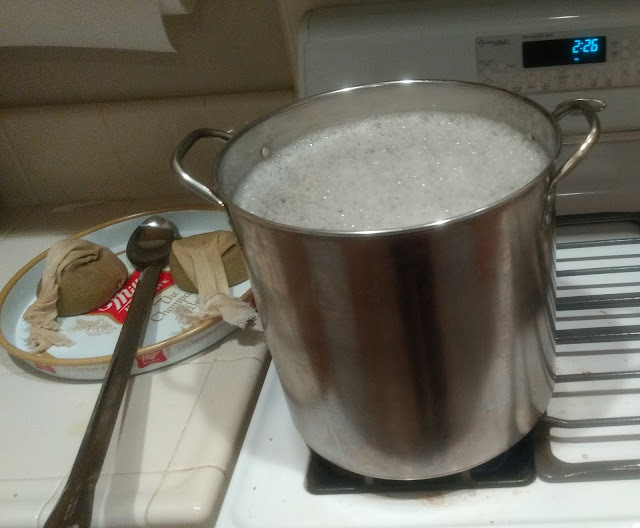 I split the hops between the first two kettles too. 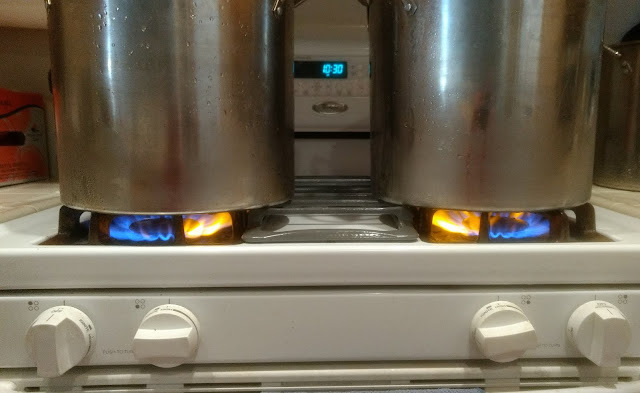 One thing I like a lot about this new stove is that both the power burners have the same strength. 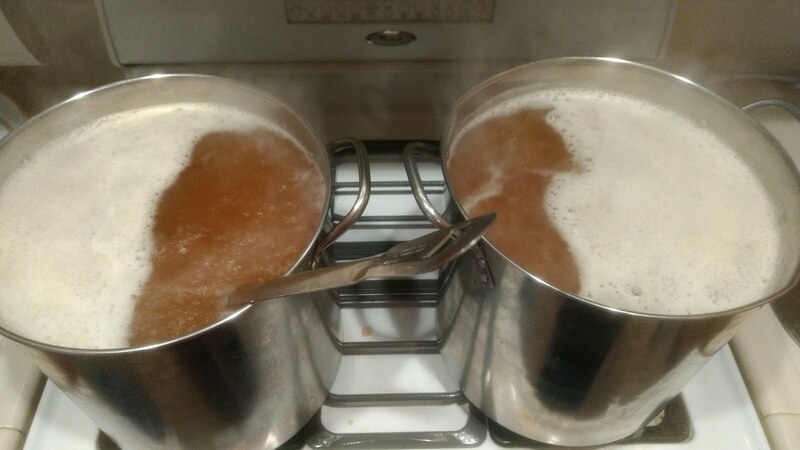 Both kettles started boiling at the same time and finished with the same volume at the end of the boil. Consistency is great! 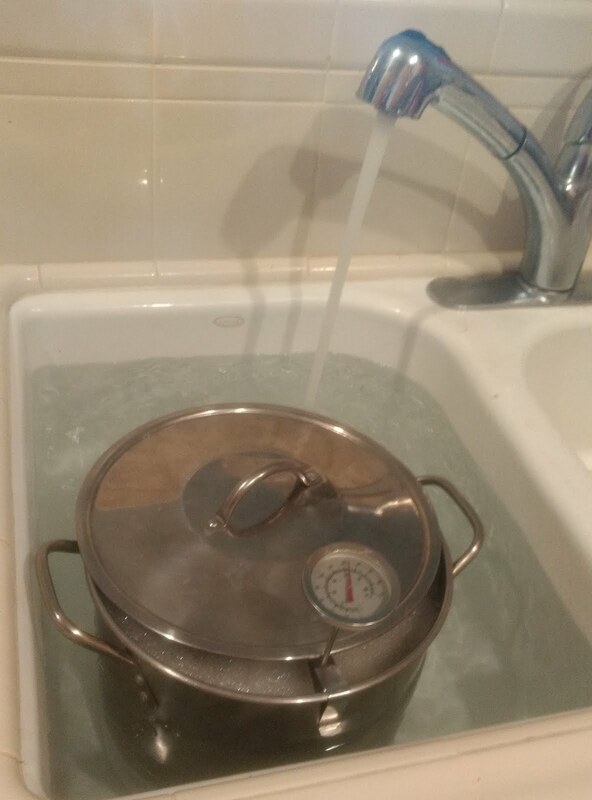 The first two kettles provided 2.5 gallons each. The third kettle also provided 2.5 gallons of wort, which was split between the two fermenters. 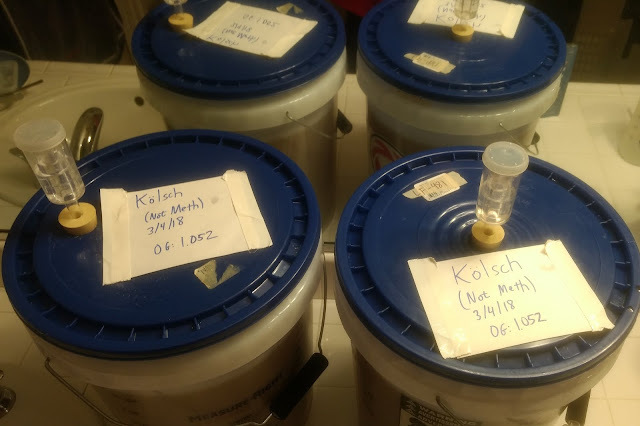 Took a gravity reading of the first two kettles after the boil and it came up to 1.060. Not bad for that volume. 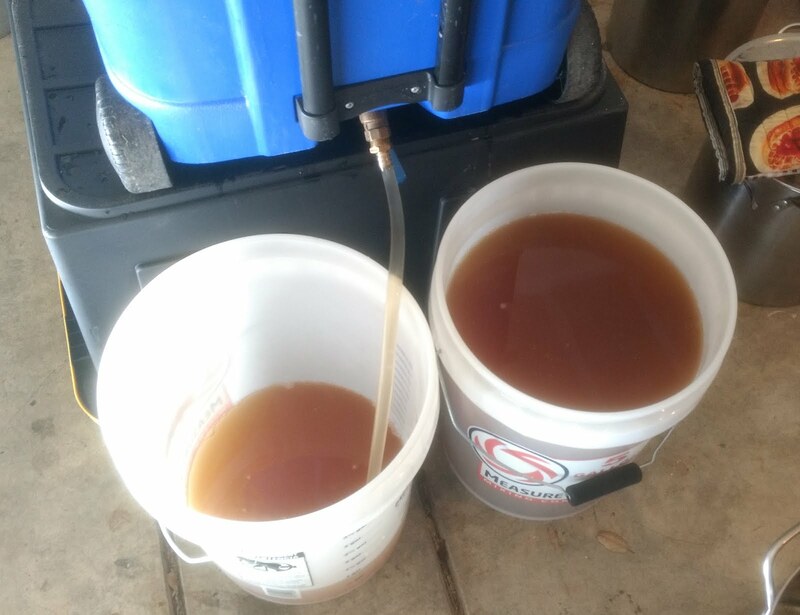 Topping off both kettles with the runnings from the 3rd kettle (which was at 1.030 after its boil), the gravity evened out to 1.052. 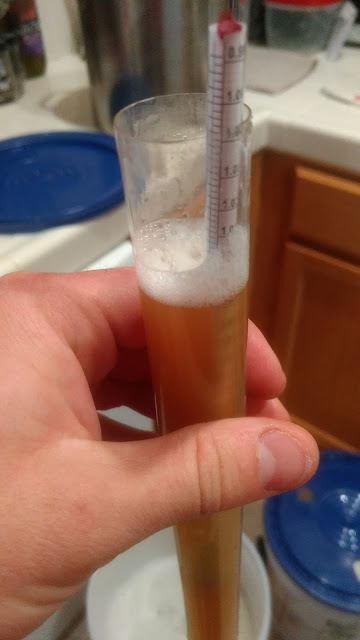 After pitching the yeast, I noticed airlock activity immediately the following morning. That stuff works fast! 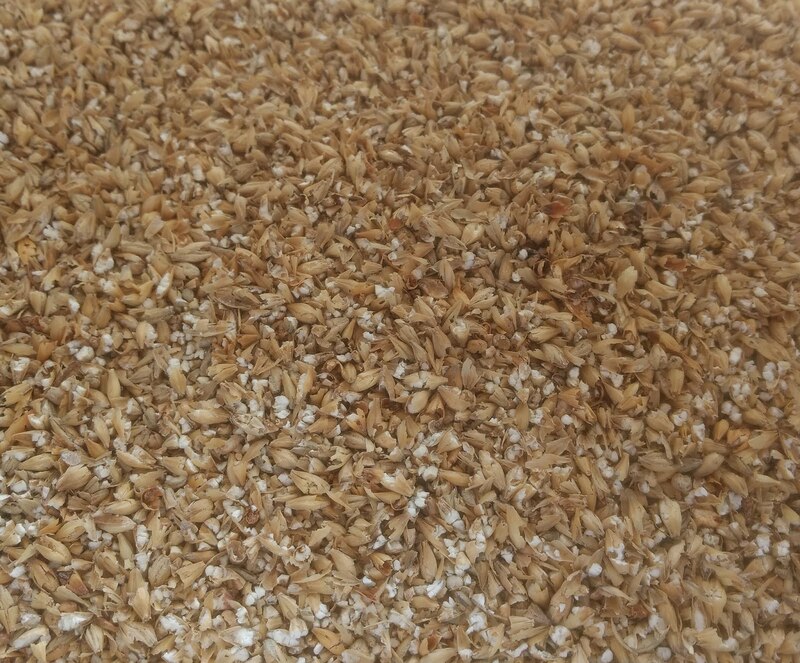 I plan to ferment this for about 10 days, so check back then for the next steps!